Steiner sets the new standard for sniper riflescopes by entering the digital world. 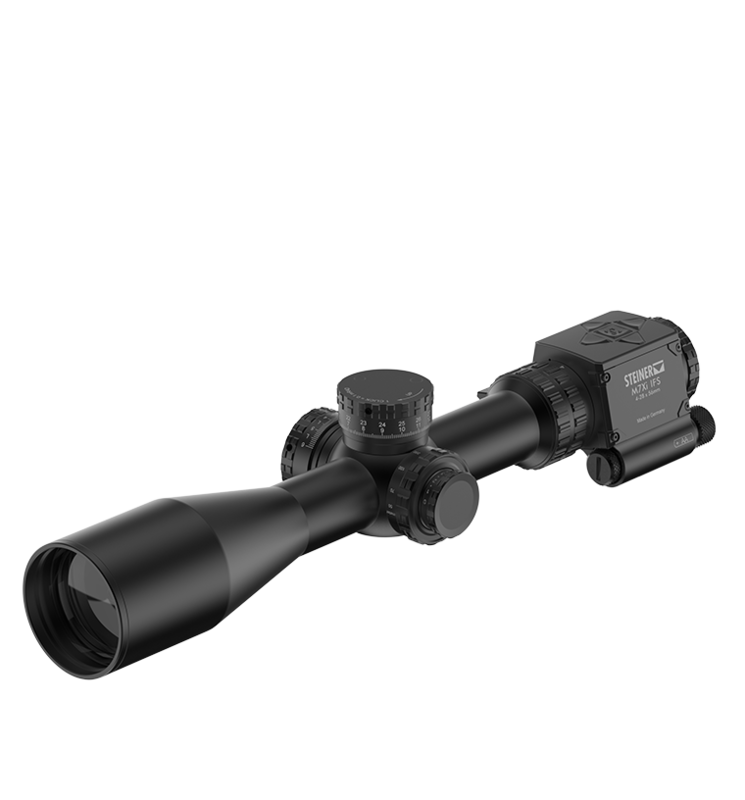 Based on the outstanding success of the M5Xi - used today by Special Forces around the globe - Steiner sets a new benchmark with the ultimate long-range riflescope M7Xi IFS 4-28x56 with a 7x zoom and an impressive field of view (1,42-9 m at 100 m). The Intelligent Firing Solution with integrated customizable display always provides all the important information in real time to the operator. The built in Ballistic Calculator and Sensor Suite determines the bullet point of impact in real time (temperature, air pressure, inclination, wind drift). Just turn the turrets until the distance and wind correction in the display matches the information provided by the spotter and you will be on target. The display provides information about leveling and the current turret setting. Display and user interface can be customized to user needs. Every information can be moved freely or can be deactivated if needed via smartphone app (Bluetooth connection). The new M7Xi IFS 4-28x56 has been designed to resist the toughest conditions, it is of course covered by the Steiner 10 years warranty for optical parts and 2 years for electronics.